What a wonderful weekend! I hope your holiday was as sweet as mine! I wanted to share a few precious moments from Thanksgiving day. My uncle Nathan and his beautiful wife, Lynda, hosted my side of the family at their home. The turkey was so incredibly juicy and tender...I may have stood at his side the entire time he carved it...quality control! 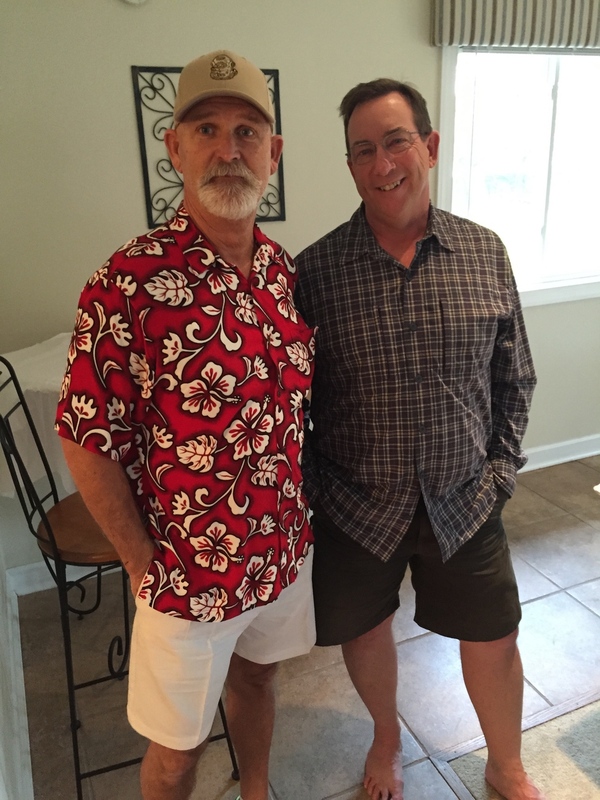 My uncle Van and my dad ALWAYS wear shorts to family functions. Okay! BLONDE MOMENT here! When I saw these tiered plates, I thought "Wow! Someone took time to make butter mints!" I popped one in my mouth and BAM- not a mint. Butter. Notice the bread right next to it. Perhaps I should have more shame, posting my main plate and potato plate on the internet. Lastly, my mom and I were taking pictures with my Granny, and she stuck her tongue out. People, this is where I get it! The two of them raised me to be the person I am. I could not be more grateful for their gentle, Christ-like attitude in everything they do. I hope to be like them when I grow up! I love Thanksgiving, not just because I get to eat bottomless calories, but because spending time with family is the perfect kickoff to a magical season! Welcome, Christmastime, I'm glad you're here!